The Billing section is divided into two tabs, by default, and three or more, if you choose to be an Alternative Payer for other POEditor accounts. Here, you can see what plan you have on your account, some of the main benefits it comes with (Unlimited projects, languages and contributors, the number of strings it can host), how many string you have in your account at that moment, and what the next available plan is. 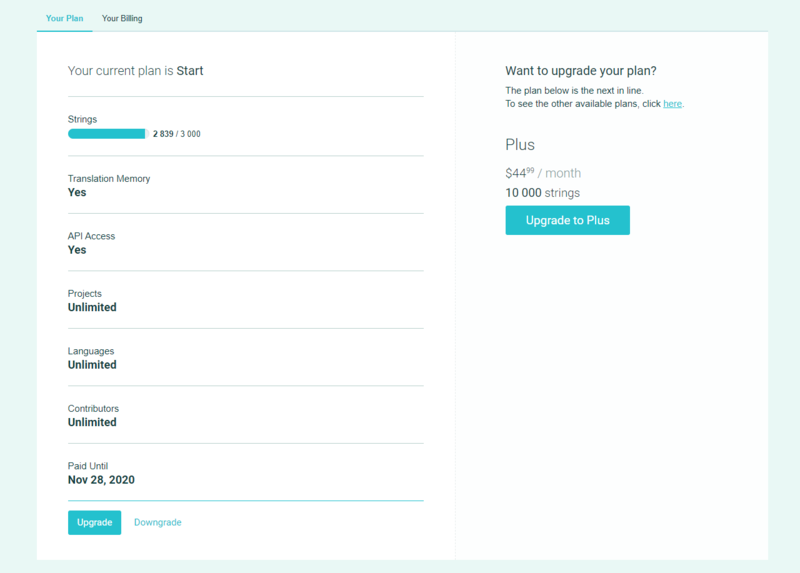 If you have a paid plan, you'll also find a link to downgrade your account,at the bottom of the page. 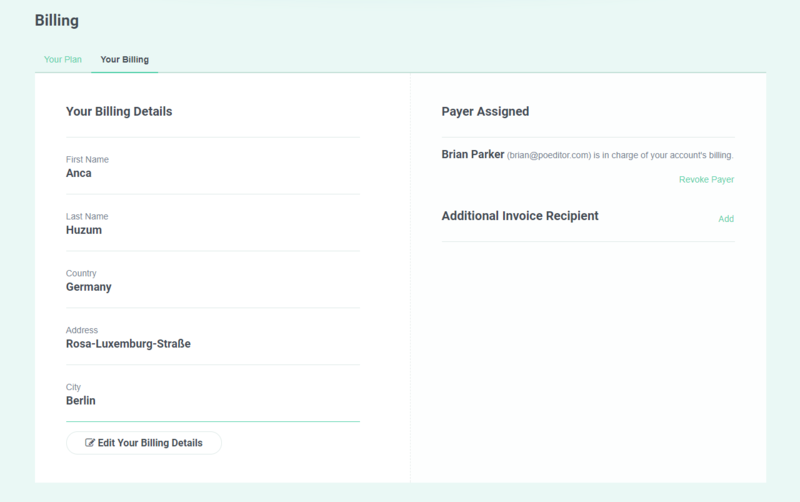 Your Billing tab is where you can edit you billing details, invite an alternative payer to take over the payments for the subscription on your account, and add an additional invoice recipient. 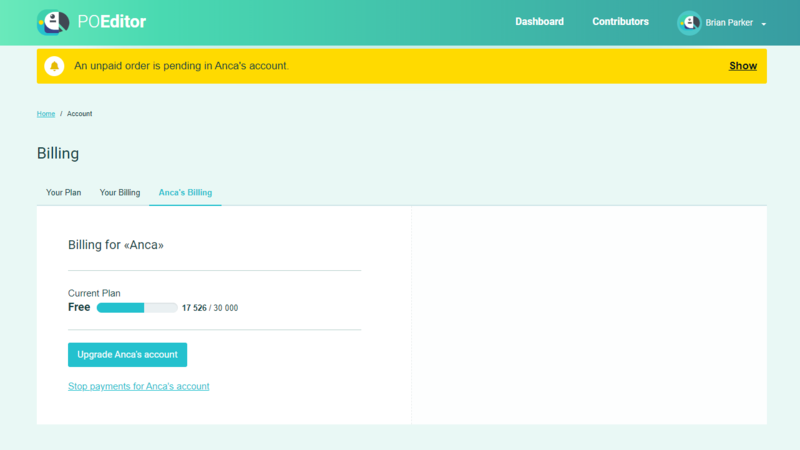 If another POEditor user invites you to be their payer and you accept, a new tab will appear in your Billing section, where you can upgrade or downgrade their account using your own billing details. A link which you can follow to quit being that user's payer is also available.